First Listen: Maysa adds soulful spin to rock classic "Love Is A Battlefield"
(April 24, 2017) -- It is pretty much a sure thing that longtime SoulTracks favorite Maysa can be counted on when she turns out fresh material, resulting in a soothing yet soulful experience that grabs the listener by the ear. In a solid marriage that contains contemporary and/or traditional jazz and R&B, her instantly recognizable honey-dipped alto can never do wrong, whether it’s on an original song or an established cover, especially demonstrated on her Sweet Classic Soul CD over a decade ago. Now for a somewhat different artistic approach, Maysa reaches back to interpret an eighties classic rock treasure. From her upcoming release due in late May on Shanachie Entertainment, she reshapes the title track in "Love Is A Battlefield" - originally belted out by Pat Benatar in 1983 over a chugging synthesized soundtrack. Though the melody is very recognizable, Maysa’s voice simply melts alongside the finger snapping grooves, which are graced with a sophisticated flair. It seems no matter what the genre, Maysa somehow figures out to breathe new life into old music history. 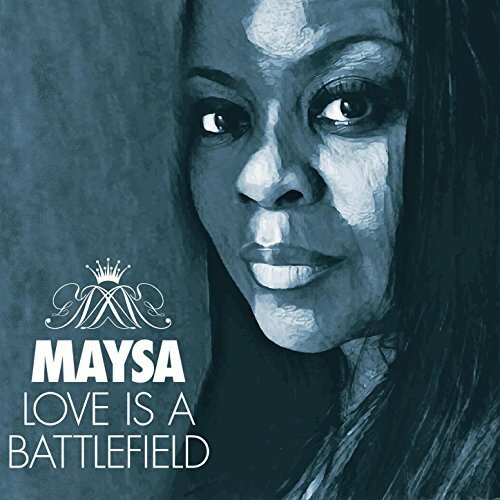 Maysa - "Love Is A Battlefield"
First Listen: Maysa is going to "Pray for Peace"